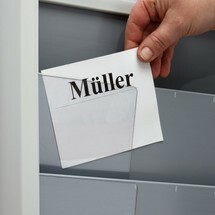 You can use the index cards for wall panels to record all relevant data, such as name, truck and weekdays. 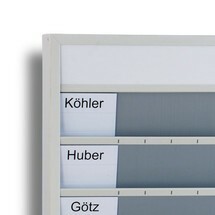 This enables you to optimise the control of your workshop and the flow of the work process. The standard job pockets for workshop planners are sturdy and dirt-resistant. 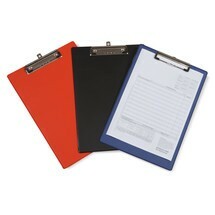 They are available in different colours and can therefore be used to identify various processes or similar. 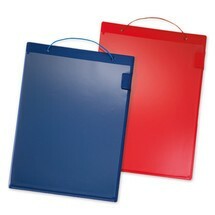 Single sheets or writing pads can be attached to the clipboards for workshop planners. 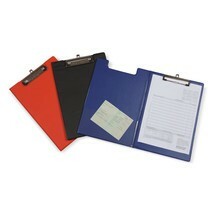 It can be used as a writing support, for example when carrying out measurements or for customer meetings. The job pockets for workshop planners are extra large and therefore have a large filling capacity, in which you can store a variety of things. The expanding gusset allows for additional expansion. A writing pad can be inserted into the writing case for the workshop planner. 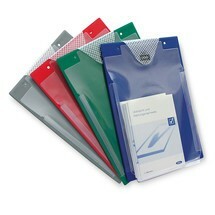 Its transparent pockets protect important worksheets from water and other contact agents.